Alok Jha charts the history of weather forecasting. In the 1850s, driven to prevent sea disasters, meteorologist Robert Fitzroy issued Britain's first storm warnings. 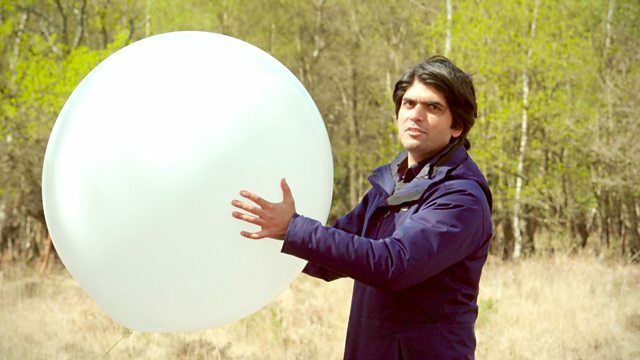 Alok Jha investigates how weather forecasting was transformed from superstition into science. At the heart of story is pioneering meteorologist, Robert Fitzroy. Driven to prevent disasters at sea - like the wrecking of a passenger ship off the Anglesey coast in 1859 - Fitzroy issued Britain's first storm warnings and came up with the first weather forecast to be published in a newspaper. Alok explores the knowledge Fitzroy was building on. He investigates weather folklore, asking if sayings such as 'red sky at night, shepherd's delight' have any merit. He tells the stories of the other heroes of meteorology - people like Evangelista Torricelli, a student of Galileo's, who invented the barometer; Luke Howard, who classified the clouds and Francis Beaufort, who came up with the famous wind scale. Alok also discovers that public complaints about weather forecasts date back to the very first forecasts. The original diary of Francis Beaufort, who first came up with the famous wind scale.